Mitutoyo CTL Germany GmbH has been certified according to ISO 9001:2015 for the scope of "distribution and service of measuring instruments and complex measuring systems in the field of production measuring technique including the development of software". PTB has certified the accuracy of the calculation results of our software. PTB (Physikalisch-Technische Bundesanstalt) is the National Metrology Institute and the highest technical authority in Germany for the field of metrology. With the following self-declarations we confirm that all newer versions achieve the same results as the versions for which the certificate was issued. The FDA guideline 21 CRF Part 11 is a regulation that defines the criteria according to which an electronic signature is considered trustworthy and reliable, and can therefore be equated to a handwritten signature. With the following certificate, we confirm that for the specified functionality, we have fulfilled the rules of the FDA guideline 21 CFR part 11. Confirmations that the export interfaces for GEOPAK and STATPAK conform to the Q-DAS ASCII Transfer Format. 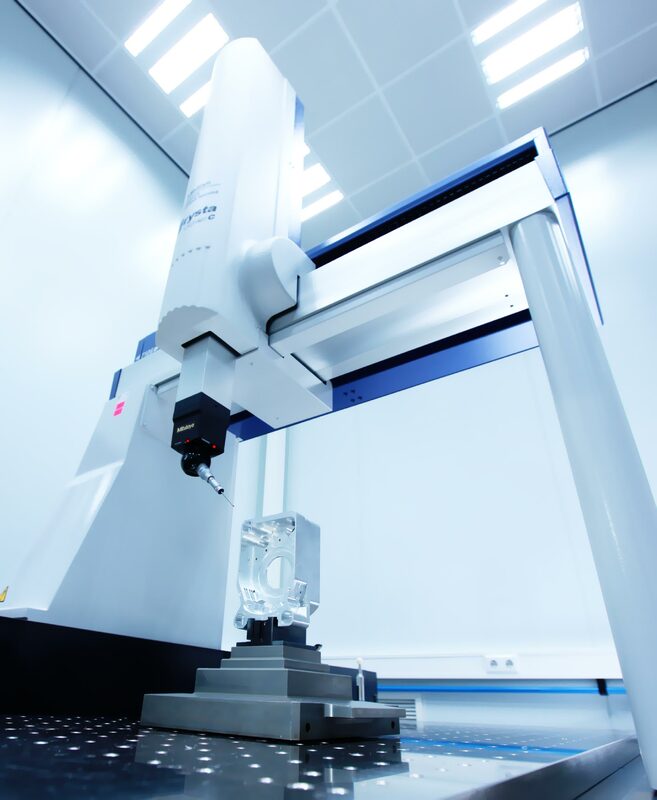 We are software specialists, tasked with creating and advancing the intelligent software, which engineers use to operate Mitutoyo's 3D Coordinate Measuring Machines.